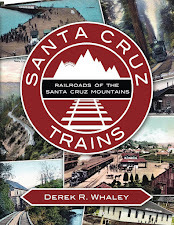 Among the tunnels found along the South Pacific Coast Railroad's route through the Santa Cruz Mountains, tunnel #5 in Zayante is by far the easiest to view, although it hardly appears as it did during the age of steam. 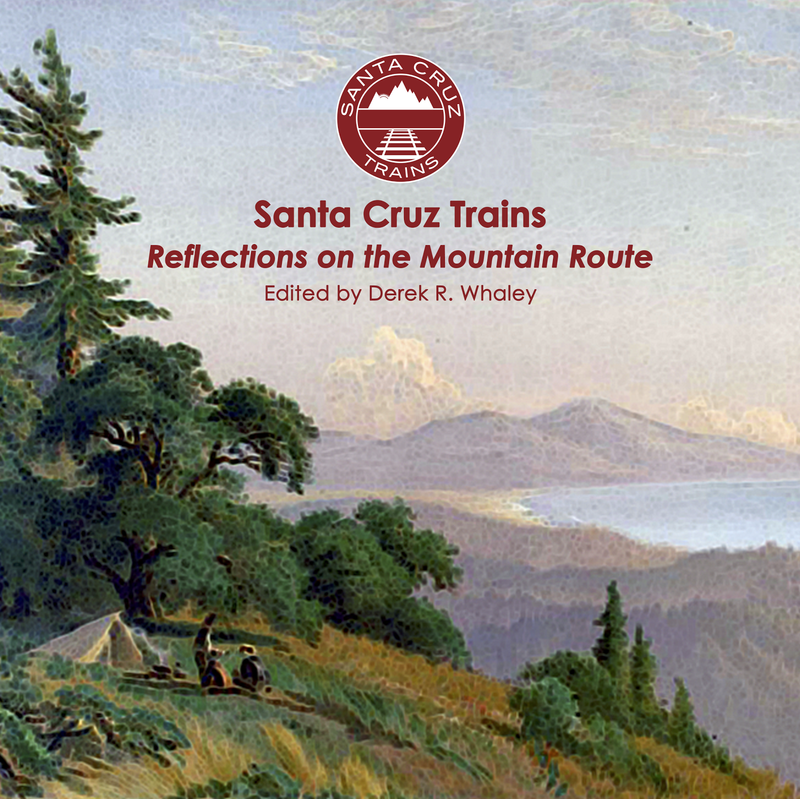 In 1879, the railroad grading crews of McKoy & Company encountered a granite promontory on the east bank of Zayante Creek. For whatever reason, the railroad decided to bore through the rock rather than dynamite it. The density and stability of the rock was such that no interior scaffolding was required inside, although it initially had wooden portals on either side. The total length of the tunnel was 250 feet, the second shortest tunnel along the right-of-way. Zayante Tunnel proved to be an entirely unremarkable tunnel throughout its time as a railroad tunnel. The Southern Pacific Railroad, which took over the line in 1887, upgraded the tunnel to standard gauge in 1907, in the process widening the tunnel and replacing the wood portals with concrete. Owing to the daylighting of Tunnels #1 (Cats Canyon) and #7 (Hogsback), the tunnel was renumbered Tunnel 4, a designation it retained for the next thirty years. At the time the route was abandoned in November 1940, the Zayante Tunnel remained entirely intact. Unlike the three tunnels further to the north, Southern Pacific decided against dynamiting this structure, perhaps because it was far more stable internally or an explosion could have destabilized the entire hillside above it. For the next fifteen years, the tunnel entered its second life as a local thoroughfare. Photographic and written evidence attest to the fact that locals used the tunnel and right-of-way between Woodland Road (Western States Drive from 1953) and Madrone Way, called Redwood Road on US Geological Survey maps, as an unpaved access way. Southern Pacific probably still owned both the tunnel and right-of-way during this period, but they did not stop locals from using the tunnel and railbed. 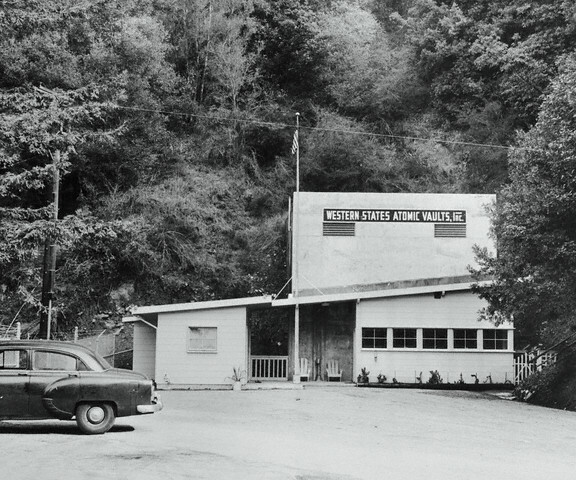 The Zayante Tunnel's third life began in 1952, when the Western States Atomic Vault Company, Inc., purchased the tunnel, right-of-way, and Woodland Road for their own uses. 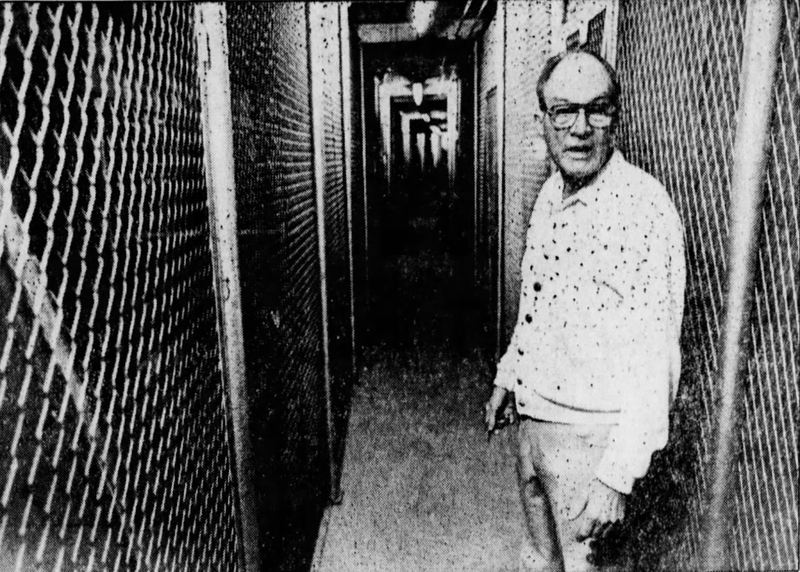 Cold War fears prompted nuclear shelters to be built across the United States and Santa Cruz County was no different. Capitalizing on these fears, Western States purchased the old tunnel in order to convert it into just such a shelter, albeit one where companies and the government could store vital documents. The remoteness of the location and its situation under a granite hillside sealed the deal. By the end of 1953, the tunnel was sealed on either end except for limited-access entry doors. Both sides were gated and fenced and a 24/7 guard was stationed in a gatehouse on the south side. Inside, the ballast floor was covered with concrete and overhead, an intricate climate control system was installed to maintain a constant temperature and humidity. The facility officially opened on May 2, 1954, and has remained in continuous use ever since. Most of the contents of the vault are microfilm and microfiche records, but other trinkets include early Walt Disney Company film reels, government marriage certificates, and a massive miniatures collection. The sealing of the tunnel ended most local use of the tunnel as a thoroughfare. At some point later, possibly during the floods of 1955 or 1982, a major sink appeared about 0.1 miles north of the tunnel along the right-of-way, effectively ending all use of Redwood Road by locals or vault crews. Western States Atomic Vault Company was purchased by FileSafe in 1989 which subsequently sold the facility to Iron Mountain in 2003. Iron Mountain closed the facility in June 2017 and it is currently being prepared for sale. The western (north) portal of the Zayante Tunnel can be accessed via Western States Drive by heading south along the right-of-way. There is a significant washout along this route so some light climbing is required to get around it. The portal can also be viewed at a distance from East Zayante Road just north of Madrone Way on the opposite side of the rocky promontory. The portal has a chainlink fence around it and has been sealed in concrete, except for an emergency escape door. The eastern (south) portal can be directly accessed from the top of Madrone Way, although the entrance is obscured and access is restricted. The entire front façade of the tunnel has been sealed and two large fan vents have been added to the portal. The original date of the tunnel is now covered. A guardhouse and office sit immediately in front of the portal with a chainlink fence surrounding the facility's parking lot. A guard is always on duty but tours of the facility have not been allowed since Iron Mountain took over the facility. De Leuw, Cather & Company, "Santa Cruz-Los Gatos Rail Corridor Feasibility Study: Final Draft Report," prepared for the Joint Policy Board (December 1994). Now I know where I'll go when the North Koreans lob a nuke over here. Zayante is obviously a high-value target. We currently live at 164 Zayante School Road. We bought the place in 1977. Were you the people we bought it from? I have been in the storage facility many times. My old company was a military contractor and I was the document control manager. We stored engineering records and other documentation. The walls were lined with cages that had government and private customers names on small plaques. Mostly crates, boxes and cabinets. Very interesting place. "Living the Good Life at the End of the Alphabet!" I heard that University of California uses the tunnels to store records of Alumni.... Is it true? A man by name of Jules Charboneaux(sp?) was supposedly connected with or was an early promoter of the facility. San Francisco 4 , Calif.
i was curious to see what the stock might be worth today. but its cool to see old Financial Reports-asssets with dollar figures back in Dec. of 1961 and 1962.